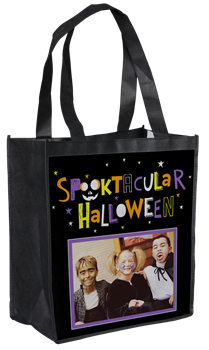 Looking for a personalized candy bag for your kiddos for Halloween? Here’s a deal not to miss at York Photo. You can get a personalized tote bag for only $1! To get started, click on the link above and log in or register for a York Photo account. Start creating your tote bag by choosing from one of their pre-made designs, which you can later customize with text, images, and clip art. Once you’ve finished, head to checkout and enter code YORKTOTEAD to drop the price to $1. You’ll need to pay for shipping though, which should be around $3.99. Your total will be around $4.99; not bad for a customized candy bag for the kids!